A timely hearing at a very crucial point in AI development. Senator Cruz explained that scientists are predicting how investments in AI will increase by more than 300 percent in the next few years, which means AI will have a more prominent role in society. With that in mind, the subcommittee’s hearing focused on the impact AI has in various sectors of US society, and how to best ensure US leadership in AI development. The hearing came at a time when developments in computing are giving rise to faster and smarter AI. Dr. Andrew Moore from Carnegie Mellon University and Dr. Eric Horvitz, Managing Director at Microsoft Research Lab both stress how the increased computing speed, digital datasets, and the development of deep learning techniques have created an “inflection point” for the rapid development of AI. It’s an issue that experts in the field have thought about. 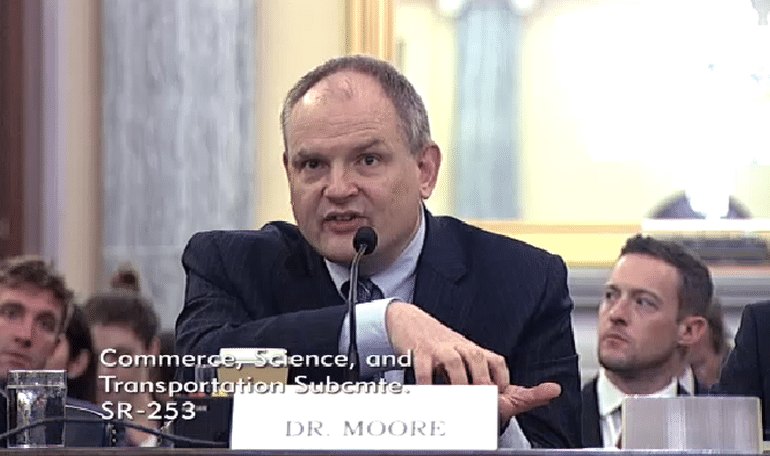 “There is an urgent need for training and re-training of the U.S. workforce so as to be ready for expected shifts in workforce needs and in the shifts in distributions of jobs that are fulfilling and rewarding to workers,” said Horvitz in his testimony. The preliminary hearing didn’t touch much on concrete solutions for solving the looming job crisis, but the conversation could lead to more public discussions on AI. “We are truly living in the dawn of artificial intelligence and it is incumbent that Congress and this subcommittee begin to learn about the vast implications of this emerging technology to ensure that the United States remains a global leader throughout the 21st Century,” Senator Cruz declared.